Your skin is a valuable asset, treat it with care and respect with quality mineral moisture treatments and formulas. 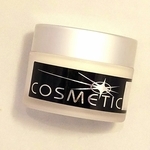 The skin care treatment products here at CosmeticCosmos.com are designed to improve and revitalize your skin to its natural state. Our skin care products are extremely gentle and effective, helping you put your best face forward. Daily use of our cleansing cloth, primer and wrinkle treatments and other skin care products will keep wrinkles at bay and leave your skin glowing. Use our exfoliating cleansing cloth for a daily rinse of all the pores for blackhead tough treatments. For a replenishing cleanser, try our cleansers and wrinkle treatments to bring skin back to former glory. Cleansers and wrinkle treatments, facial scrubs, skin primers and treatments, are all formulated for maximum care and cleaning. Here at Cosmetic Cosmos our first and foremost goal is the health, then beauty of your skin, which we achieve with cleansing cloths, facial scrubs, and mineral moisture formula. You’ll find our own mineral moisture formula, designed by Cosmetic Cosmos estheticians to rejuvenate and create a supple, smoother skin overnight.